Cleaning your teeth in a cup? We recently had a patient state that one of his friends didn’t take care of his teeth. And, it really didn’t seem to bother his friend that he could lose his teeth. 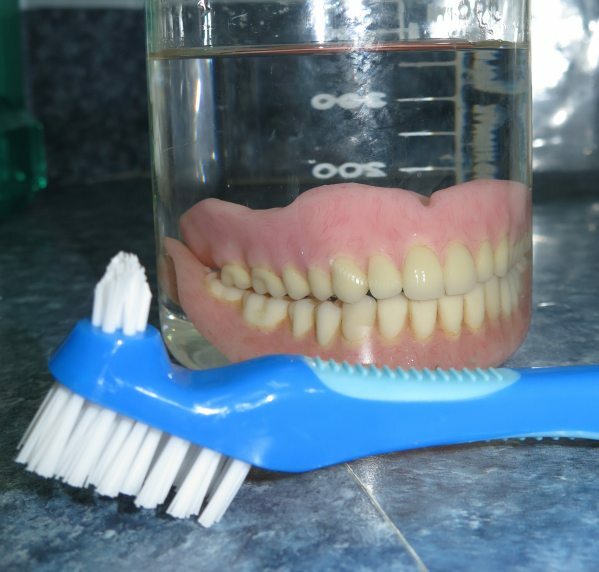 He will “just have dentures.” We’ve heard this statement many times, along with the joke of “then just doing a cleaning in a cup.” As dental professionals, we strive to keep teeth. We educate and provide therapy to achieve that goal. 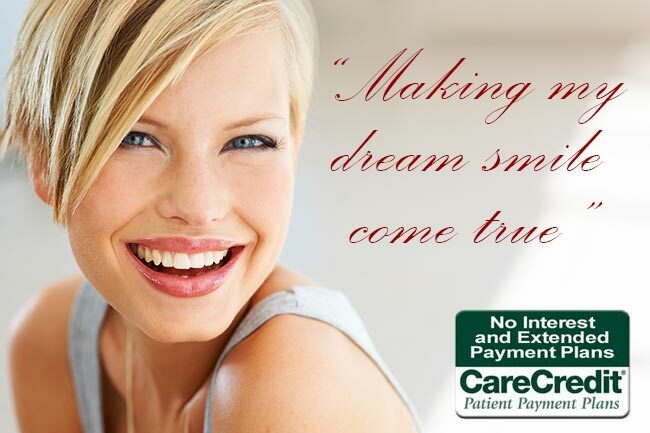 There are instances, however, were moving towards a denture is more cost effective and efficient for patients. There are a few implications that arise from having dentures that should be considered in making the decision to remove teeth and replace with dentures or partials. Full upper dentures affect taste. Most taste buds are located on the tongue, however, when chewing the tongue presses on the palate. With a new denture, the taste buds contact the denture, giving the taste of acrylic which the denture is made from. Over time, the taste of acrylic can diminish. Dentures can present issues with speaking. Typically, patients have the most difficulty with speaking the “S” sound and sometimes there is a noticeable “clicking” noise when speaking until the person becomes adjusted to the dentures. Sometimes, adjustment to the dentures are necessary as well to help the person adapt. Eating can be difficult at first too because there is so much “hardware” in the mouth. Hard, dense foods and chewy foods can be particularly hard to manage as the dentures can move around. Losing or gaining weight affects the fit of dentures. Losing weight causes dentures to become loose thus creating potential sore spots and/or floating denture(s) while speaking or eating. Conversely, gaining weight can cause the tissues in the mouth to swell creating a tight fit which also can impinge on the tissues. Over time dentures wear and become scratched causing small crevices or pores that can trap bacteria. This can adversely affect the mouth causing possible infections and can also cause discoloration of the denture itself. Leaving the denture in overnight causes a deprivation of oxygen which leads to overgrowth of fungus which can cause sore areas on the tissues. Medication can help alleviate the fungal infection. Over time, the bone that once supported teeth shrinks which leads to poorly fitting dentures and loss of vertical dimension. This is the person whose nose can touch their chin. Taking care of your teeth from an early age and being consistent with a regular routine of oral care and preventive dental appointments is very important. Moving towards dentures sometimes is inevitable or most efficient but should not be taken lightly. No replacement can compare to the teeth that we are born with. We appreciate all comments from the dental community. 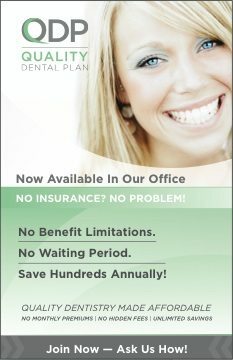 Give Dr. Gregory Jungman and all his dental crew our best.